PARC MACKENZIE is located at 68 MACKENZIE ROAD in district 09 (Leonie Hill, Orchard, Oxley) of Singapore. PARC MACKENZIE is a Freehold Condo development consisting of 42 units. PARC MACKENZIE is completed / TOP in 2009 (estimated), developed by YANLORD DEVELOPMENT PTE LTD.
Educational institutions like INSWORLD INSTITUTE, CHATSWORTH INTERNATIONAL SCHOOL (ORCHARD), ST JOSEPH INSTITUTIONAL INTERNATIONAL, ST. MARGARET'S PRIMARY SCHOOL, FARRER PARK PRIMARY SCHOOL and ANGLO-CHINESE SCHOOL (JUNIOR) are near to PARC MACKENZIE. PARC MACKENZIE is accessible via nearby LITTLE INDIA, ROCHOR and JALAN BESAR MRT Stations. A well-maintained, friendly condo building with not too many units. A good mix of expats and locals, families and professionals. Super convenient, close to Orchard Road and only a few minutes away from the MRT and a nice quiet park. Parc Mackenzie is beautifully designed with exquisite exterior and well furnished interiors. 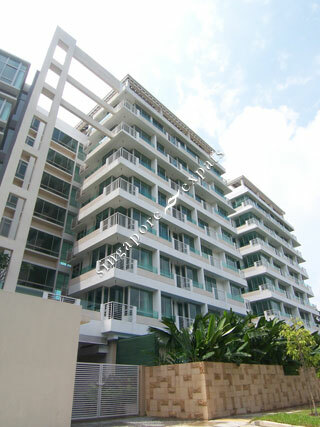 It boasts a superb location near MRT, good amenities and major shopping areas at affordable price.